One August afternoon in 2012, a bulldozer tackled a jungle in Clinton… clearing land behind the Episcopal Church of the Holy Advent, knocking down tall trees and shoving underbrush out of the way. When the dust cleared, there was a beautiful sight – a large level plot with hardly a rock on it! Groups are also welcome -- for example, Scouts or students or civic organizations and special times can be arranged if a community service project is envisioned. The 4th and 5th graders at the Abraham Pierson School next door have a close relationship with the garden, including an After-School Garden Club each spring and fall in which approximately 18 students take part. Very educational and helpful! 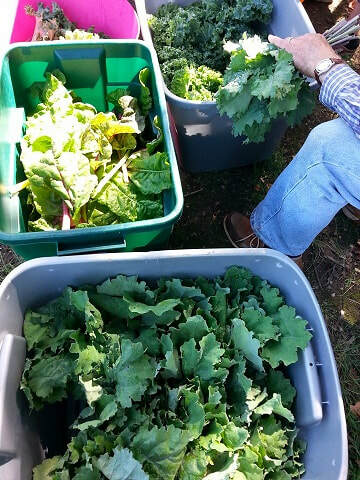 Church members, who had hosted the food pantry in Clinton over the past decade, immediately saw the potential for a garden to augment the pantry offerings. 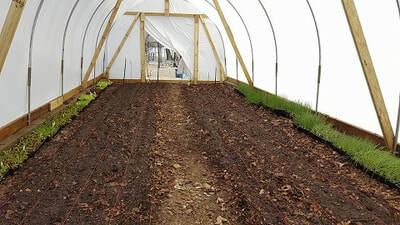 Rob Chase, who at the time owned Spencer Hill Farm in Killingworth, worked closely with parishioners and other volunteers to get the project off the ground. In the spring of 2013, a hardy band of volunteers put deer fencing around the main garden (measuring 100x200 feet), installed water lines, dug beds, planted seeds, and transplanted seedlings started by Shoreline Gardens in Clinton. 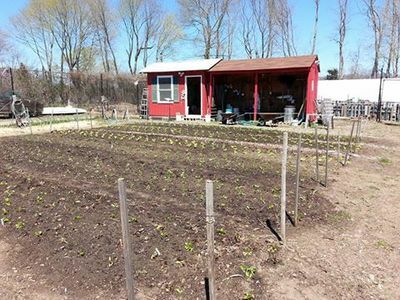 Money was raised, more volunteers came, tool sheds were built, a greenhouse was assembled.By the end of that first season, the proud gardeners (all amateurs) had contributed 3,750 pounds of vegetables, herbs and flowers to the food pantry, which is one of five in the Shoreline Soup Kitchens and Pantries network. The Clinton pantry assists at least 120 households every week, with residents coming not only from Clinton but also Killingworth and many other nearby Shoreline towns. The second year, the Food for All Garden contributed 5,900 pounds and last year, 6,580 pounds – bringing the grand total of fresh produce supplied to well over 8 tons! Over this time, the garden has been expanded and improved, thanks to generous donations from several area foundations as well as local civic and church organizations. Moreover, the CT Department of Agriculture gave a significant grant to cover the expenses of digging a well and erecting a hoop house (high tunnel), to help assure sustainability and at least slightly extend the growing season. The real secret has been hard-working volunteers, who manage to have fun no matter how hot, sweaty and dirty they become! 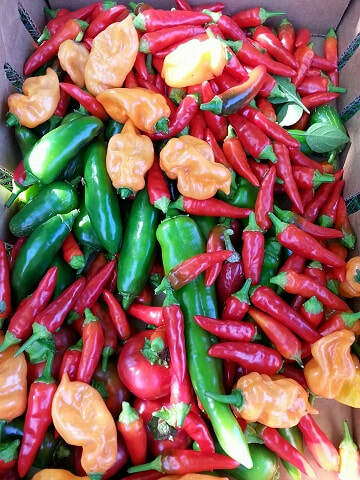 The “Food for All Garden” is a program initiative of Our Community Cares. It operates under a use agreement from Holy Advent for a $1 per year. Margaret Larom is the Acting Coordinator reporting to the OCC Board. A design team was established to create and expand the garden. 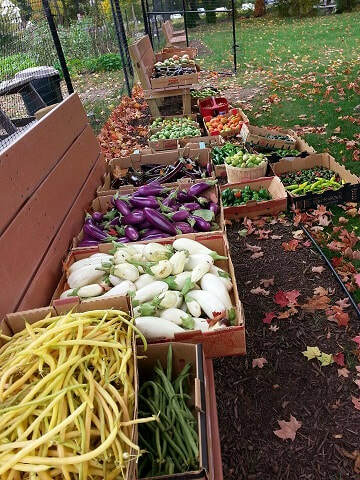 Since Garden fundraising began in November of 2012, more than $15,000 has been received. Established agreement with Shoreline Soup Kitchens and Pantries to provide fruits, vegetables, herbs, and flowers for the Clinton community. 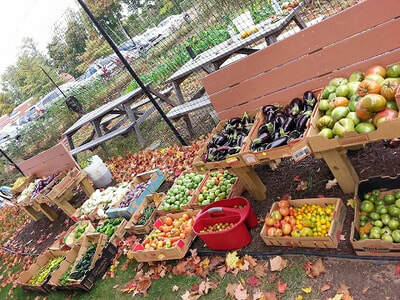 Food for All Garden has converted the 2-acre back lot into a “common garden” to grow food for Shoreline Soup Kitchens and Pantries and other pantries as needed. “Food for All Jr”. is a part of the program intended to use the garden for the teaching and enjoyment of school children.